"I hardly know how to begin to express my deep appreciation for the wonderful care my beloved 26 year old horse, Chico, received at VLAC. His operation went extremely well and I brought him home the next day, with nary a sign that he'd been through such an ordeal. While he was the one who underwent surgery, I, too, needed and received wonderful care! From the minute we arrived and throughout the whole experience, the caring and competent staff helped assuage my fears. I know they took perfect care of Chico in the impressively clean, spacious, and airy facility. As for me, I could not have asked for more. I so deeply appreciated the unhurried and thorough pre-op consultation with Dr. Phil and staff, and the phone call from Dr. Phil, himself, once Chico was actually in the surgery, to give me the crucial good news that the least extreme surgical option was the wisest choice-which choice couldn't have been made beforehand. Also appreciated were the daily calls from staff to let me know how Chico was fairing both before and after surgery. From my end of things, the accessibility of Dr. Phil, and his superb listening and communication skills, were more than I'd hoped for. While Chico and I hope to never return to VLAC (! ), if a need arises we'd go there with complete confidence. THANK YOU Dr. Phil, Dr. Meghan, and everywonderfulone else at VLAC." "Thank you to the entire team at VLAC for helping Beau with his myriad of health issues this spring and summer! A special thank you to Drs. Toby Pinn, Jen Dulin, and Amber Goodwin for your wonderfully kind, caring, and professional expertise while helping Beau with his chronic asthma and colic episodes. Currently Beau's asthma seems to be under control and his colic event is now thankfully just a memory! We are not enjoying this lovely summer weather and are able to practice some ground work and riding together! I have always felt privileged to work with the entire VLAC Team! Thank you to all!" Susan Hill and Beau, too! I wanted to let you know how Freakie is doing. AMAZING! She has that huge granulosa cell tumor out in June, and today she went into heat. Her overall temperament went from a crazy & dangerous out of control stallion acting mare, to a sweet, attentive, & willing horse! She goes out in a field with 3 geldings and a yearling filly and has no interest in fighting, squealing, striking, or biting. She actually took 2nd place in the herd! Her weight has come back and her out of control muscle tone has reduced some. She is not having lameness issues or any problems of any kind. 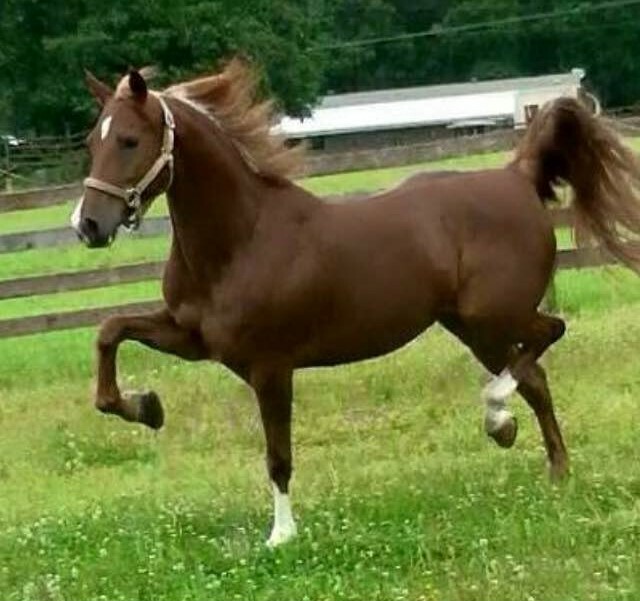 She never lost her spark to be a flashy show horse and drive to please and is sane and safe now! I cannot thank you guys enough for actually saving her life. I was shocked to see that she was in heat today! Like a normal mare. I cannot thank you enough! I still have not ridden her and we are moving to Florida in November and taking all 3 horses with us, so I will be able to start with her again!